The staffing industry today works in a very dynamic business environment, perhaps the most dynamic the industry has seen since its evolution. It no longer only plays the role of simply replacing absentee employees with temporary ones, but has now taken a more strategic role in providing their clients with a variety of employment solutions and services. While it appears to be wind at our back, sails at full mast, full steam ahead for the industry. The desired horizon is becoming difficult to obtain. Challenges and opportunities plague this dynamic market. Call them growing pains, the function of a growing segment, however you term they are real barriers to the moment of continued growth that the staffing industry desires. With record low unemployment numbers, it is becoming more and more difficult to find qualified talent to meet the needs of clients. “Full employment” type conditions have forced a shift in the market from employer’s controlling the balance of work to the employees. Further complicating this balance is the decrease in skilled employees to match the requests of employers. Finding new ways to effectively and efficiently recruit and retain employees has provided difficult and often time very expensive technological challenges. Understanding and Addressing Millennials in the Workforce. There is a shift occurring in the potential workforce. In the next 5 years over 50% of potential candidates with be considered millennials. Millennials have a very different view of the world. There are a generation who were wired at birth. They function on instant access to information and gratification. They cut their teeth on I-everything. Their desired states of compensation are driven by time off, social conscious, and the ability to make a difference. Often categorized as lazy or detached, they prefer to solve problems their way, they love to challenge the status quo – often times finding better and more efficient ways to solve problems. If they connect with the mission of a company will become some the most loyal and engaged employees in the organization. Whatever thought, time, or effort you put into understanding the millennial generation will be worth it. The better an organization is at “getting” them, the more valuable their unique combination of skills, quirks, goals and thought processes will be. Attracting and retaining this up and coming workforce will provide a unique advantage for the firms who embrace their unique sill sets. One of the biggest challenges in the industry is managing the skill sets that clients are looking for. Clients are not always aware however of the talent shortage. Armed with industry knowledge and insight, staffing firms can become consultants for their clients. Using supply and demand data helps set realistic expectations for clients. Data will allow you to empower clients and help establish your firm as a valuable and informed resource. Integrating yourself as an extension of you clients recruiting plan allows you to become an indispensable part of your client’s strategic plan. As a staffing firm, if you are not paying attention to how your clients are using technology to communicate and gather information on their hiring end, you are going to miss out on opportunities. Deliver tangible ROI in key performance segments allows you as an agency to move from a transactional need, to an indispensable partner. 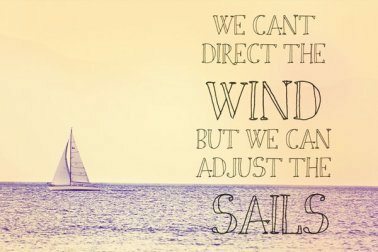 Not one of us can change the direction of the wind, but we can always adjust our sails to reach our destination. 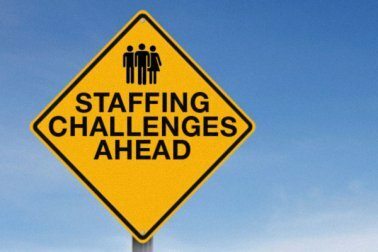 Barriers, challenges or opportunities which ever your perspective is, understanding the changing landscaping of the staffing industry is critical to continued growth. Differentiating how you will use data, leverage technology to recruit and communicate, while maximizing emergence into a new and diverse workforce will position your organization for success well into the future. Jeff Arnold is the vice president of business development for Your Employment Solutions.